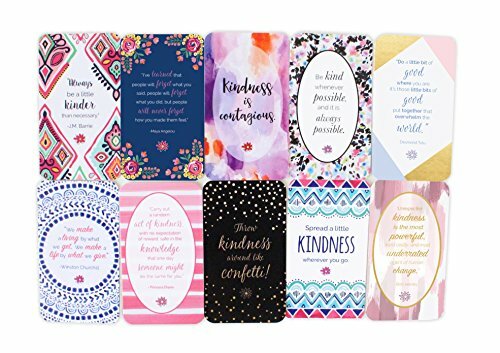 These monthly acts of kindness calendars are designed to inspire you to spread joy to those around you throughout the year. Every month has unique holidays and themes associated with it and I try to incorporate those into the acts. Each month, I create a new calendar based on that month’s themes. If you’re a regular reader, you will see them published well ahead the start of the month. I also list them here so they are easy to find. Feel free to bookmark this page so you can come back each month to print the next calendar. The links below will bring you the the appropriate post so you can download/print the calendar and read about the month’s themes. As a mom, I encourage my kids to perform random acts of kindness so they develop a habit of charity and compassion that will hopefully stay with them forever. 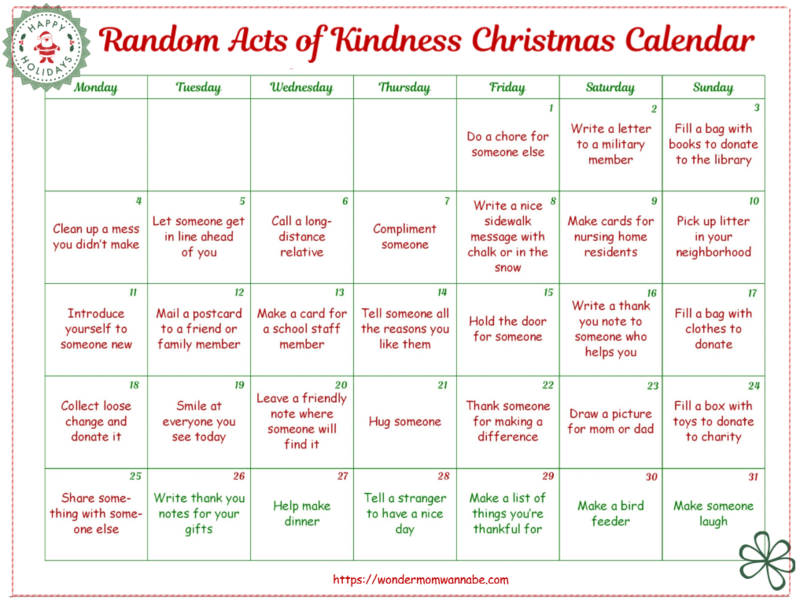 Each Christmas, they each get their own Random Acts of Kindness Christmas Calendar full of acts of kindness kids can do without any help from an adult. 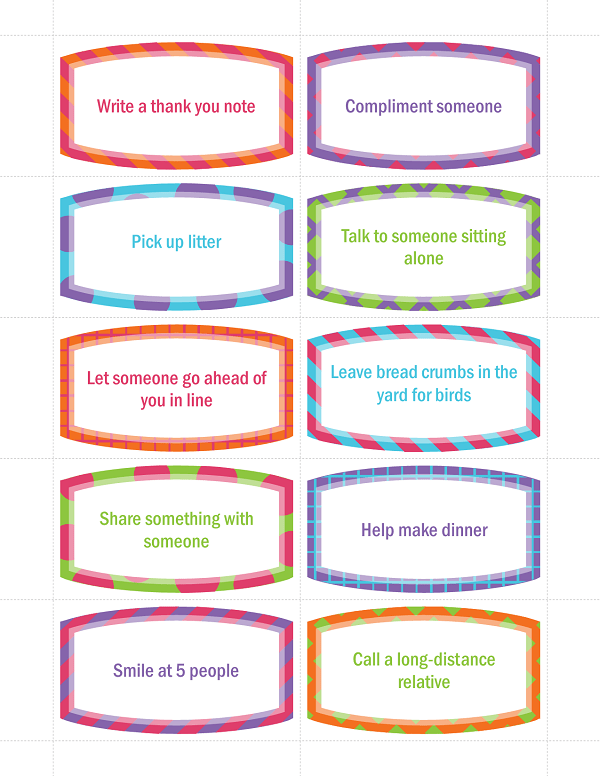 Another way to encourage kids to perform random acts of kindness are these printable random acts of kindness cards. Acts of kindness don’t always have to be directed towards strangers. 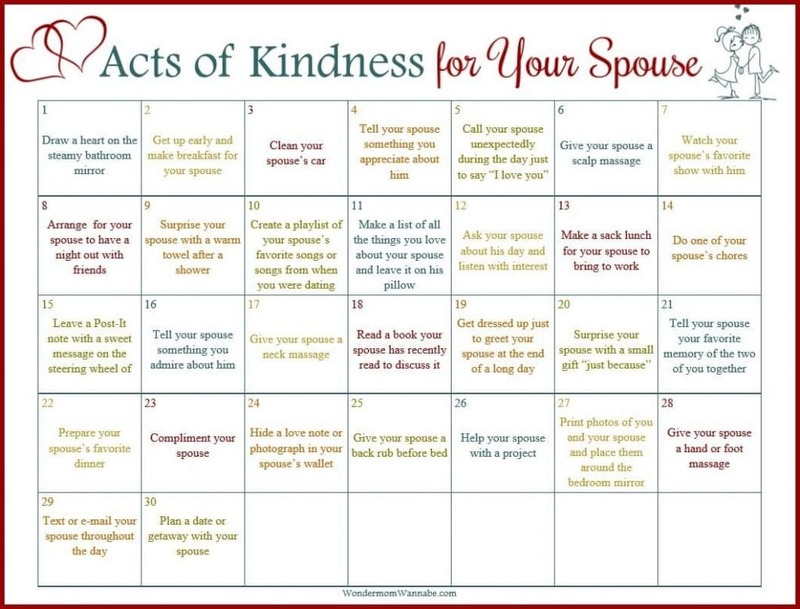 Try these Acts of Kindness for Your Spouse and watch how much joy they can bring to your marriage! One of the reasons I create the calendars is because it creates a visual reminder. Even if I don’t follow the acts on the calendar exactly, having it posted where I see it every day helps set a friendly perspective for my day. 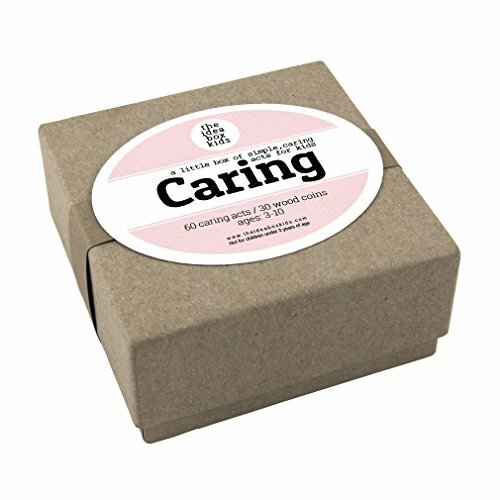 This Acts of Kindness Idea Box for Kids is full of great ideas that kids can do to spread kindness. 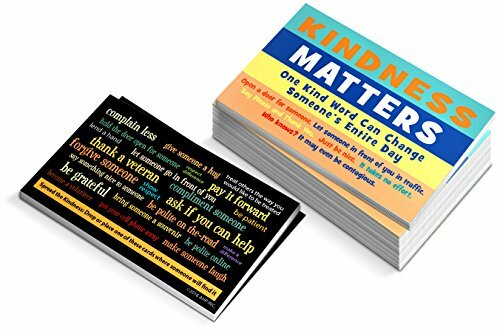 If you perform acts of kindness as a family, kindness cards are a fun way to surprise strangers. 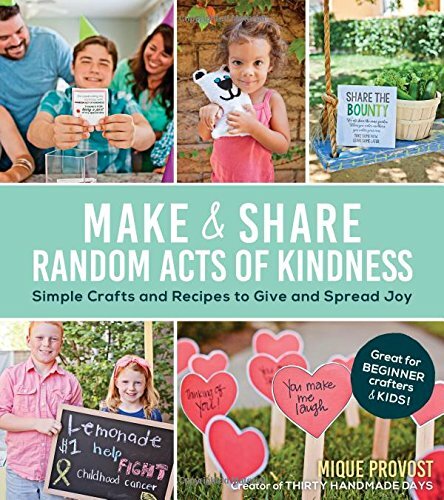 If you’re willing to invest a little more time and effort, this book has several craft and gift ideas that are perfect for acts of kindness. 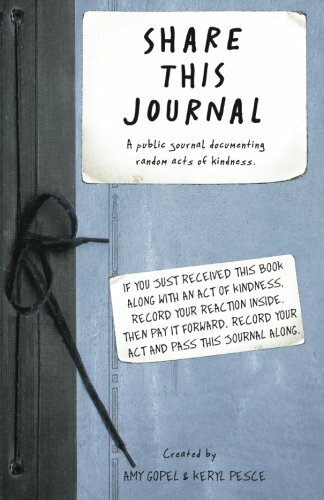 I also love this journal. It’s like a chain letter of kindness. 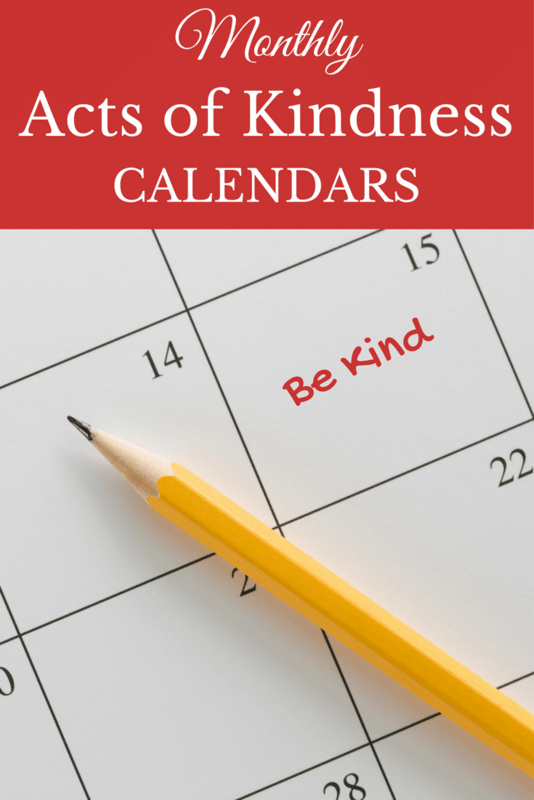 Are there Kindness calendars for November and December? These are wonderful!! November’s will publish this Friday and December’s (if I have it ready) will be ready the following week. On November 1, I’m republishing my Christmas Kindness Calendar for Kids (updated for this December) and will have the full year of kindness calendars available for 2018 as a set. when I click on the March calendar, it takes me to January and February, but no March printable. Perhaps you are clicking on the wrong image? The picture at the top of the post is linked to the other calendars. If you scroll to the bottom of the post, you’ll find the image of the calendar and a clickable text link beneath it. Both that image and the text link will open up the March calendar for you. You know I cherish ideas for acts of kindness. Pinning.